As a Red Pepper editor, I always looked forward to receiving Mike’s regular column. His lucid, beautifully-crafted writing never failed to lift the quality of a magazine produced enthusiastically but on meagre resources. Marshalling the experience of a lifetime of socialist activism and intelligent engagement with the world, his columns had an immense range, from drawing lessons from the anti-racist movement of the 1980s, to considering the universality of artistic expression after a trip to see prehistoric paintings in the caves of northern Spain. Whatever his topic, I always felt stimulated by the clarity of his insights. 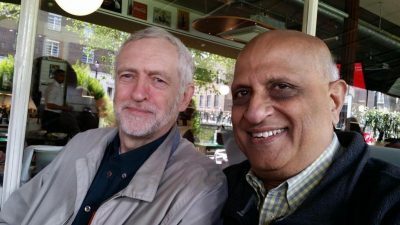 I first met him a decade ago as part of a network of activists, mainly in our twenties and thirties, who had recently left Trotskyist politics or had been burnt by the experience of collaborating with Leninist parties in the anti-war and alter-globalisation movements. Mike was an influence on all of us – perhaps more than we realised at the time. 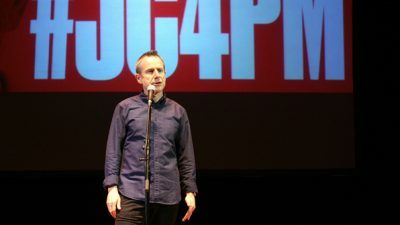 After acting as the Stop the War’s first press officer and making a significant contribution to the coalition’s early success, Mike had made some criticisms of the SWP’s behaviour within it and been hurriedly excommunicated. When the UK and US war on Iraq became their occupation of it, he saw the need to move beyond simple slogans and organise in solidarity with those on the receiving end of this new imperialism. The case he made led me and others from our informal group to work with him in starting Iraq Occupation Focus as a strategic addition to Stop the War’s wider mobilisation. We campaigned against the occupation, tried to communicate its realities and made links with progressive anti-occupation groups in Iraq itself. It was work that was later taken up by various radical NGOs and Stop the War itself to some extent. Through this and other activism I undoubtedly absorbed some of Mike’s worldview. His values and thinking were part of what kept me a focused and active socialist once I’d left my late-teenage Leninism behind. His conviction that it matters how you treat people, in socialist politics as in wider life, is hugely important if we want to build a left that lasts. And Mike knew it must last, because real socialist politics isn’t a painful slog followed by a pay-off, but a tradition of acting on egalitarian and deeply democratic principles that carries on through generations of people creating the best world they can. There are moments, of course, when we can decisively shape events (Left Unity’s Andrew Burgin writes about how Mike understood the importance of anti-war work above all else after 9/11, for instance), but we also need laughter and beauty and sheer enjoyment of life to carry us through. Mike’s books, journalism and life reflected these convictions. The column he wrote for Red Pepper was called ‘contending for the living’, a typically poetic phrase he adapted from one of his heroes, Thomas Paine. Paine wrote in 1792, in his response to Edmund Burke’s defence of established institutions: ‘I am contending for the rights of the living against the manuscript-assumed authority of the dead.’ Mike’s précis is a phrase that might apply to his own life. Born in New York to Jewish parents in 1953, by the age of 14 he was leading a walkout at his school against the Vietnam war. Disgusted by US imperialism and racism (it’s no coincidence that the subject of Mike’s most popular book, Muhammad Ali, was strongly influenced by the black power movement), he moved to the UK to study in 1971 and settled here, becoming active on the labour left. When Tony Benn died last year he wrote of being an unrepentant Bennite: ‘What we tried to do, under Tony’s leadership, was to reshape the party from the bottom up, to make it an effective instrument of working class representation.’ He edited Labour Left Briefing for a time, but together with his partner, barrister Liz Davies, left the party after Blair came to power and supported attempts to build left-of-Labour political alternatives, most recently Left Unity. His enthusiasm for cricket was unusual for an American, but he loved the game and sport more generally as much as he hated their capture by corporate profit-making. He was best known for a time as a cricket journalist, and cricket was the subject of his first book, Anyone But England. Cricket also fed into his longtime engagement with and affection for India, where he maintained many friendships. As an anti-Zionist Jew, he wrote powerfully in defence of Palestinian rights and sovereignty, making the case for, among other things, a cultural boycott of Israel. It is perhaps fitting that most of Mike’s treatment for the bone marrow cancer that eventually killed him took place at Bart’s Hospital in London, since he had been involved in a campaign to prevent it being closed several decades earlier. As a patient he was moved by the dedication of NHS staff and supported their industrial action, not just rhetorically but by joining a demonstration at the hospital he had been admitted to on one occasion. His cancer spurred a new body of writing, collected in his final book The Price of Experience. In it he blasts the PFI scheme that has left Bart’s with huge debts, explores attitudes to illness and death, rages against profiteering drugs companies and critiques the moral injunction on patients to wage a ‘brave fight’ against cancer, an individualist line of thought dovetailing neatly with neoliberal thinking. Redoubling our efforts to save the NHS from privatisation and cuts would be a fitting response to his death. Mike’s generous spirit also deeply affected Talha Ahsan , a British poet and translator with Asperger’s syndrome who was extradited to the US in 2012 after six years of detention without charge. After Ahsan read first some of Mike’s poetry and then other books, he started a correspondence with him from detention. Despite his frailness, Mike did what he could to support Ahsan’s release. Ahsan wrote that he ‘did more for me in the space of a year and a half than many who had known me all my life’. Mike wrote in one column for Red Pepper, ‘We don’t know and we can’t know which protest, leaflet, meeting, occupation, activity will “make a difference”. We are always the underdog, we are always contending against power, and therefore the likelihood is that we will fail. But no success can be achieved unless we risk that failure.’ True as that may be, it is clear that Mike has made a difference, both to many individuals and to the world at large. Mike’s humane socialism and his ability to express sophisticated ideas in an accessible way has enriched the left in the UK and elsewhere. Though his illness meant I managed to see him only occasionally in the last few years I will miss him tremendously. Red Pepper, and the world, will be the poorer for his passing. There will be a memorial event for Mike in the coming months. Details will be posted here on the Red Pepper website.